Inducted 2011. Has Coached 15 Individual State Tournament Wrestlers and Hist Teams Have Posted Winning Records in Eight of the Past 10 Seasons. Ken Mansell has toiled quietly as the wrestling coach at Quincy Notre Dame for 22 years, and last year, he experienced his first trip on the state’s biggest stage. Mansell started his coaching career 24 years ago at Carlinville High School before taking over as the Raiders’ wrestling coach in 1989. He inherited a program that had gone 9-35 the past three seasons. He since has coached 15 wrestlers who went on to the individual state wrestling tournament, and his teams have posted winning records in eight of the past 10 seasons. His career record at QND is 242-178-1, and his overall career record is 263-196-1. Last year’s team won a school record 18 dual matches and won its first regional championship since 1995 (and just the second postseason title of any kind since 1983). The Raiders capped off a memorable season with a 40-39 victory over Argenta-Oreana in the sectional, leading to a berth in the quarterfinals of the Class 1A state tournament in Bloomington. 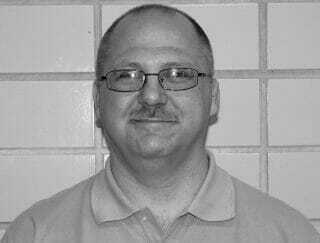 Mansell coaches in Quincy and teaches physical education at Ellington School in Quincy, but he lives in Jacksonville and has driven an average of 50,000 to 55,000 miles a year between work, practices and home, going through eight cars in 22 years. Mansell also saw duty in the Persian Gulf as a combat engineer, a platoon sergeant in the 1st Marine Division, from December 1990 to May 1991. He and Kathy, his wife of 22 years, are the parents of two daughters, Rachel and Hannah. I am humbled by the honor of being inducted into the Quincy Notre Dame Hall of Fame. It means a great deal to me, but I honestly have to share this honor with the entire QND wrestling family, including the coaches, wrestlers, wrestlers’ families, and the QND administration. 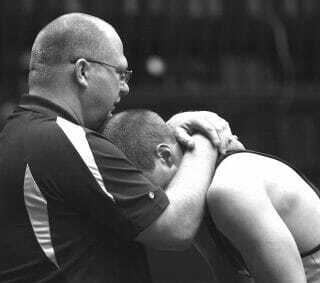 It is only with the help and support of all of them that the QND wrestling program has experienced success. That a man is only as good as the people with whom he surrounds himself is specifically true in this case. Thank you for including me in this esteemed group of honorees, past and present, as well as those yet to come.